The Mini Gift Pack features a 100%-recycled info card and a handmade plantable seed paper shape, packaged together in a corn-based cello bag. The most durable, cost-effective and impactful green promotion! 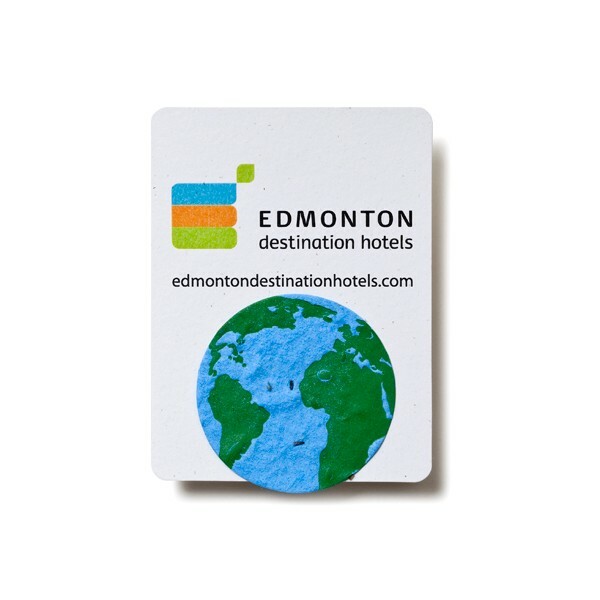 The 3x4" info card leaves a large imprint area for your custom message. Our seed paper is handmade from 100%-recycled materials and is embedded with a hearty mixture of wildflower seeds. Your choice of 200+ seed paper shapes in 22 colors. Includes any small or medium size seed paper shape; Add 20% for large shapes.